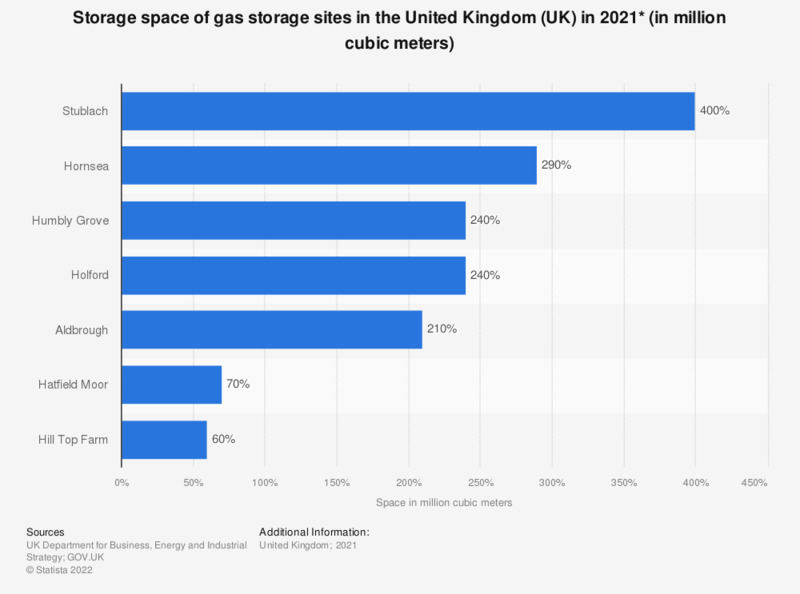 This statistic shows the storage space of gas storage sites in the United Kingdom (UK) in 2017, in billion cubic meters. The storage facility Aldbrough had a capacity of with 0.30 billion cubic meters of storage capacity. Rough is a natural gas storage facility situated off the east coast of England. Its storage capacity is approximately 70% of the UK's gas storage capacity and equals 9 days of supply.